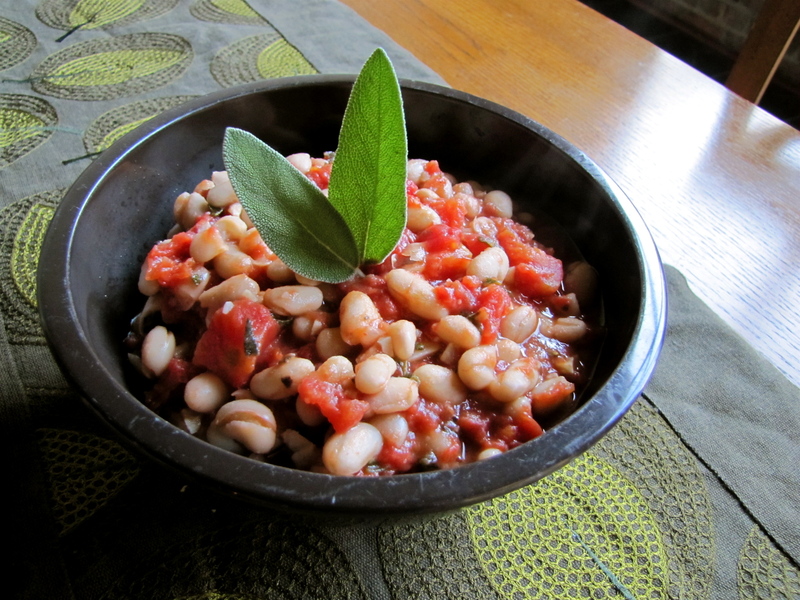 Tuscan Bean Salad with Sage – Voila! To kick off Veg Month 2012 (and to make lunches easier during the week), I made this delicious, super easy bean salad. Seriously, this is so easy (and versatile – but more on that later) that I know I’ll make this whether it’s veg month or not. It’s just nice to know that lunch is made for the week! Spoon this salad out on its own, with some greens, over egg noodles or quinoa, warm it up or keep it chilled, it’s great year round. See what I meant about versatile? Enjoy! I can totally get behind this lunch. I’ve been doing this white bean/tuna pita thing recently– and this recipe seems like the perfect way to spice things up!